Reflecting on the episode of Cain and Abel in the Bible, Pope Francis in his homily at Mass on Monday said we are asked many uncomfortable questions regarding our brothers. “Where is your brother?” This is the question that God asks each one of us in our hearts regarding our brother who is sick, in prison or hungry. 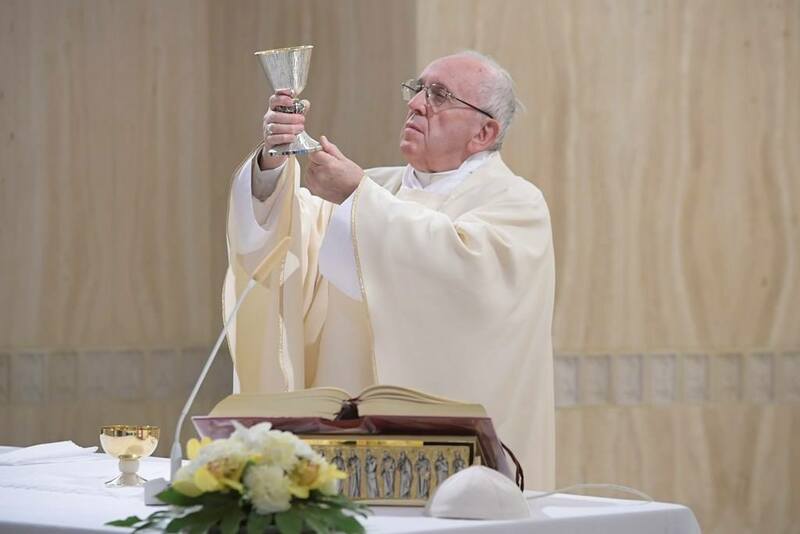 Pope Francis made this the reflection of his homily at Mass, Monday morning, in the chapel of the Casa Santa Marta in the Vatican. Commenting on the episode of Cain and Abel in the first reading from the Book of Genesis, the Pope explained that mankind, like Cain, often attempts to reply to God’s uncomfortable and embarrassing questions with regard to our neighbours. “What have I got to do with my brother's life? Am I his keeper? I wash my hands of him….” The Pope explained that Cain, who killed his brother, tries to escape the gaze of God. The Pope went on to explain how Jesus also asked such uncomfortable questions. He asked Peter three times whether he loved Him. He asked his disciples what people said about Him and what they themselves thought about Him. “What about the other, the sick…?" “Oh well, he is in the hospital!" "But there's no place in the hospital! And did you give him any medicine? " "But, that’s his business, I cannot meddle in the life of others ... and besides, he will have relatives who give him medicine ". And so I wash my hands of him. "Where is your brother, the prisoner?" "Ah, he deserves and is paying for it.” We are tired of seeing so many criminals on the street. Perhaps, the Pope said, you never hear such answers from the Lord. “Where is your brother, your exploited brother, the one who works illegally, nine months a year… with no security, no holiday ...?" The Holy Father urged each one to put a name to each one of those that the Lord mentions in Chapter 25 of Matthew’s Gospel - the sick, the hungry, the thirsty, without clothes, the little one who cannot go to school, the drug addict, the prisoner ... where is he? "We are accustomed,” he said, “to giving compromising answers in order to escape from the problem, not to see the problem, not to touch the problem". Pope Francis said that unless we put names to the list in Matthew’s Gospel Chapter 25, we will create “a dark life” for us with sin crouching at our door, waiting to enter and destroy us. When God asked Adam in the Book of Genesis, “Adam, where are you?" - Adam hid himself out of shame. Perhaps we don’t notice these things, these sufferings, these pains, the Pope said and urged Christians not to hide from reality but to answer openly, faithfully and joyfully to the questions that the Lord asks us about our brothers.